As major companies invest in 360-degree video—Facebook recently introduced the medium to its platform and is selling virtual reality spots to advertisers—bringing the format to life on TV screens seems like the next logical step. 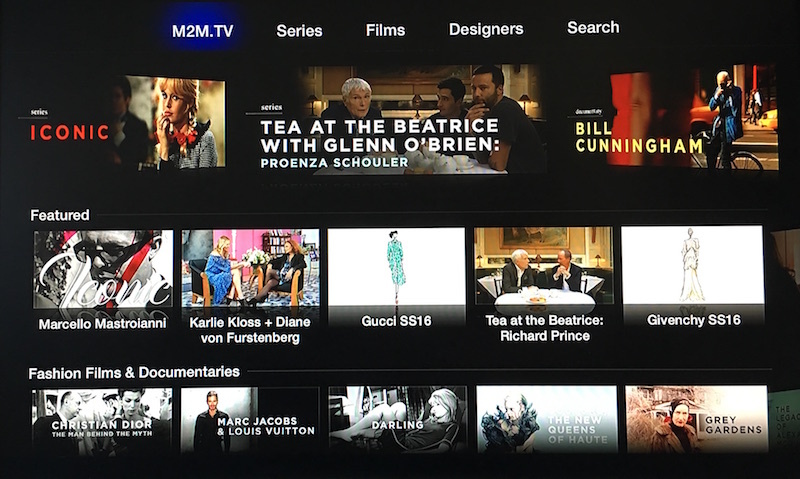 If you’re an Apple TV owner, or you have one on your holiday gift list, you’ll want to take a look at the iSkelter Apple TV Station. This eco-friendly bamboo stand attractively keeps your Apple TV and Siri Remote together, ready for action. It’s a modern docking station for your Apple TV and remote. The clean design and smooth lines create a simple, yet brilliant stand. 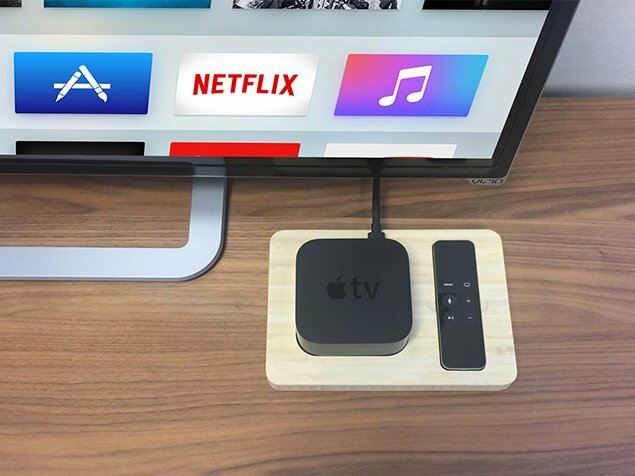 It features scratch-free, recessed docks for both the remote and the Apple TV. The base is cut from a sheet of eco-friendly bamboo and hand polished for a premium finished product. Apple TV Station is compatible with the new and early generation models. The Apple TV Station is designed and hand-built in one of my favorite towns, Phoenix, Arizona. It weighs in at 10 ounces, and measures at 9 x .75 x 6 inches, so it should fit on any entertainment center or shelf. Along with every product purchased from iSkelter, you also get a cool little “I Give a Damn” wrist bracelet. So there’s that. Combined Unit: Keep your remote and Apple TV in the same location. A combined unit should rest on the entertainment center or shelf near your television. Separate Unit: If you prefer storing your remote controls on a side table or coffee table, this model may be for you. It keeps your Apple TV docked by the TV and your remote rests within an arm’s reach away. iSkelter also makes a similar station for Amazon Fire TV owners, along with stations, lap desks, cases and more made for use with your iPhone and Mac. The Apple TV Station is $29.99, and it appears an order would easily be delivered by Christmas Eve, (this was written on December 16th), so it’s perfect as a last minute gift for the Apple TV enthusiast on your gift giving list. Is there a new Apple TV on its way early next year? It seems like we’ve only just had the latest Apple TV arrive in our homes – and now we’re hearing rumours that there’s a new version on the way. The rumours about a new 5th-generation Apple TV stem from a report on Taiwanese site Digitimes, citing Taiwan-based techies. It’s claiming the new Apple TV is going into trial production this month, with a full-volume production run starting in the first quarter of next year. 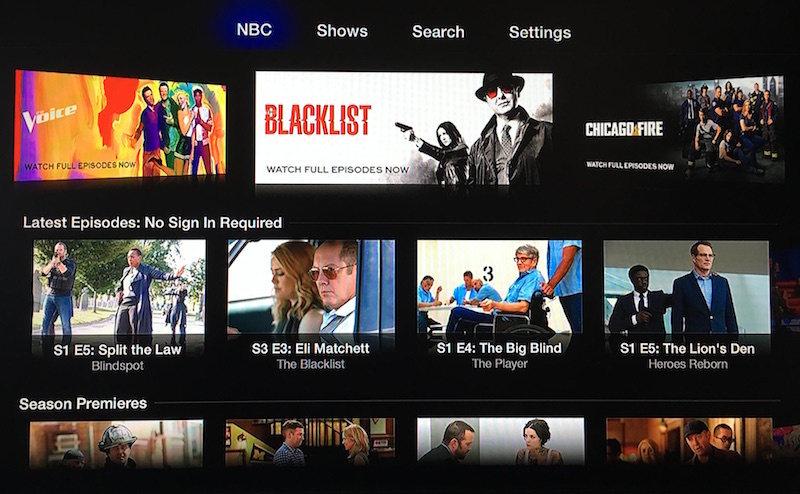 It took Apple around three years to move from the old Apple TV to its latest design, replete with new tvOS software, lots of storage and a boatload of apps. For the new Apple TV generation to last only a matter of months seems a strange move, making this rumour sound like it needs swallowing with a fistful of sodium chloride. The new Apple TV remote is a thing of beauty. It’s got six simple buttons, it’s rechargeable and it features a beautifully simple touchpad at the top to swipe across menus, app icons and letters to enter passwords. Here’s how to get the most out of your Apple TV remote touchpad. 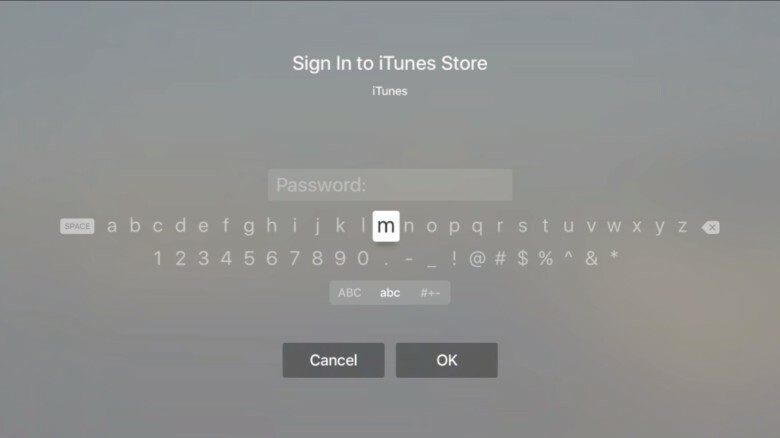 To rearrange your apps on your Apple TV, simply swipe navigate to any specific app, then click and hold the touchpad down until it starts to wiggle. 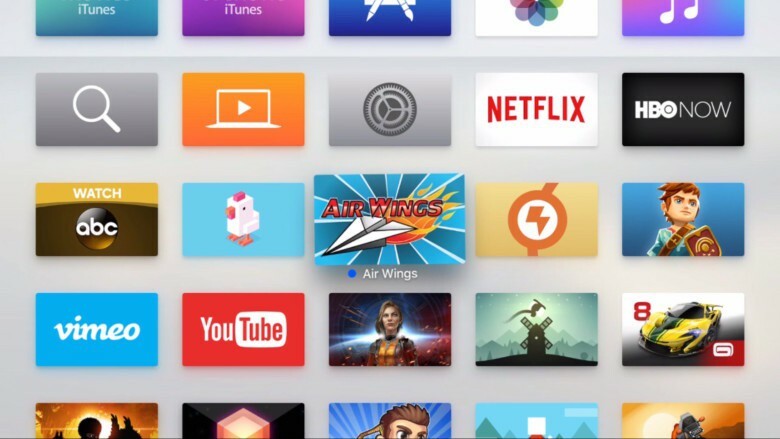 You can then swipe up, down, left or right to move the icon to another spot in your Apple TV icon grid. Click again to make the change permanent and stop the wiggling. To get rid of an app after you’re done with it, simply swipe navigate to the app, then click an hold down the touchpad, as above. This time, however, press the Play button on your Apple TV remote to delete the app. 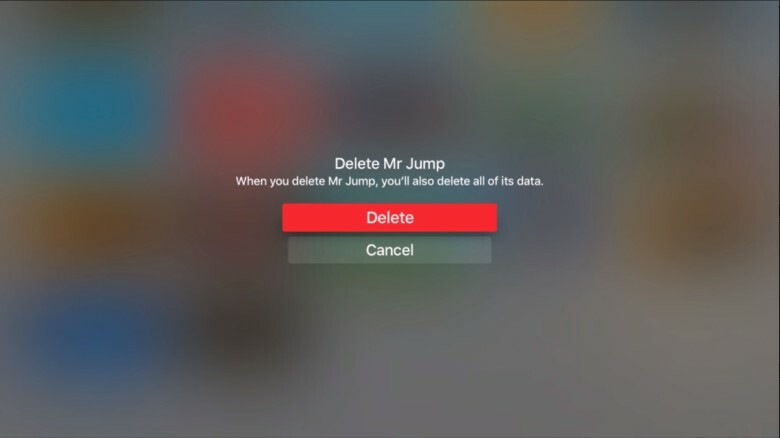 You’ll get a confirmation screen; click on Delete to remove the app, or Cancel to skip the whole thing. Typing in a password and need to get to the end of the alphabet? 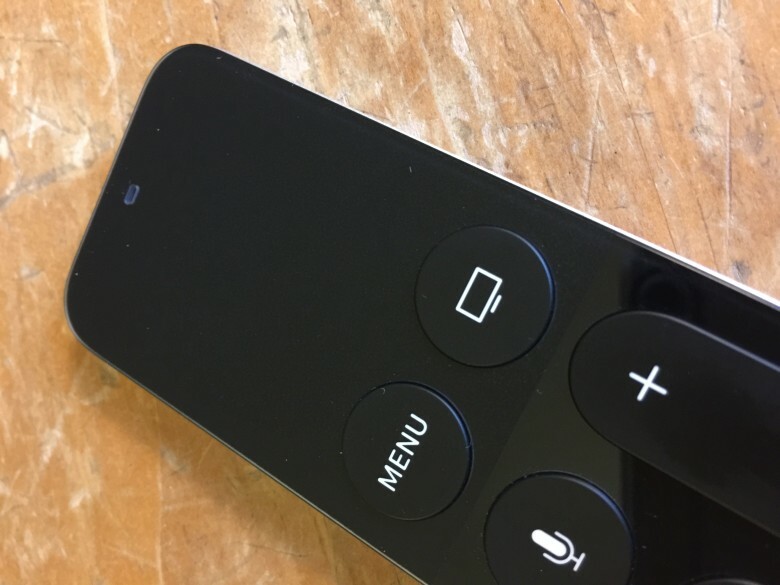 Simply swipe a little harder on your Apple TV remote touchpad and the “cursor” will fly across the screen in either direction. Same for the app icons. Accelerated swiping means that you’ll get a much faster movement if you swipe faster. Go slower to select one letter (or app icon) at a time. It takes some getting used to, but works pretty well. One issue I’ve had when entering text is correcting mistakes. Swiping all the way to the far right to hit the delete key is annoying, to say the least, especially when your password has tricky characters in it. If you “hover” over a letter when typing, simply click and hold the touchpad down and you’ll get all the alternate characters for that letter or number, plus you’ll get a backspace key right there to fix your mistake. 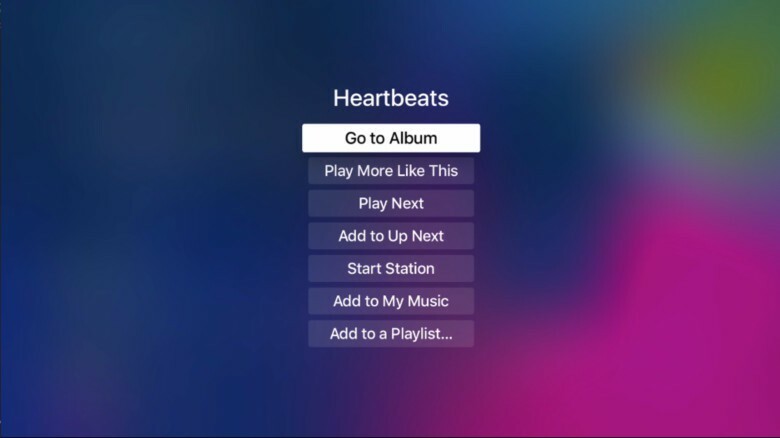 When you’re playing a song on your Apple TV, you might want to add it to your music, or add to a playlist. You can do this easily with your remote touchpad. Simply click and hold on the name of the song and you’ll get a contextual menu that offers you all the things you can do with that song, like add to a playlist, go to the song’s album, or start a station based on that song. Hit the Menu button to go back to your song list if you don’t want to choose any of the options. A new YouTube video (embedded below) showing the first browser designed for the new Apple TV has been published. The app uses a private API to render web content, so it’s not likely you’ll be seeing it on the App Store any time soon, but the project is open source and can be downloaded by anyone. The browser takes advantage of the Siri Remote bundled with the new Apple TV hardware to navigate websites. Pressing the glass surface on the remote switches between two modes. The first allows the user to scroll by flicking the glass, while the other mode displays an arrow that can be moved freely around the screen. Once the arrow is visible, pressing the glass surface again will click on whatever’s below the arrow. The simplistic browser loads pages quickly and seems to work fairly well. For casual browsing it might be quite useful. Unfortunately, as noted above, it’s not likely to be released officially because it requires access to a private API to function. 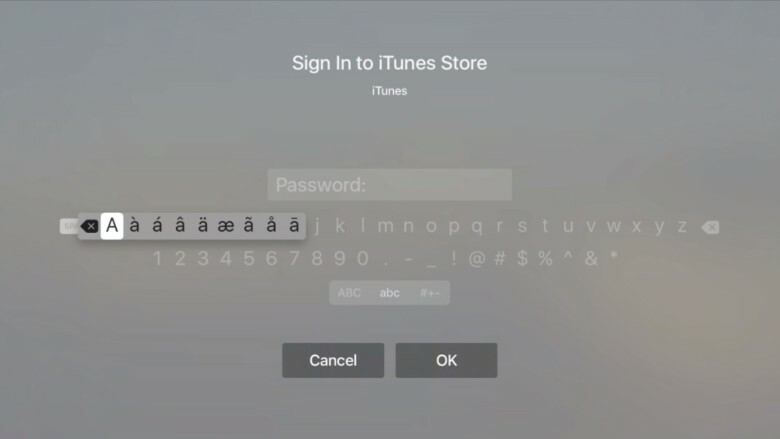 Earlier this week, another Apple TV hack demonstrated built-in support for iOS-like folders on the home screen, which would make app management much more powerful. As expected, Apple is now accepting pre-orders for the fourth-generation Apple TV set-top streaming box. The new device is available with 32GB of storage for $149, or 64GB of storage for $199. Orders will begin shipping later this week, with the earliest delivery date set for October 30, for customers who select one-day shipping. As well as the box itself, Apple is offering extra Siri Remotes for $79, (go ahead and order an extra one, you know you’re going to lose it! ), as well as Remote Loop wrist straps for $12.99. (This will keep you from throwing the remote through the television when playing games, so grab one of those too). Apple offers two-years of AppleCare coverage for $29. 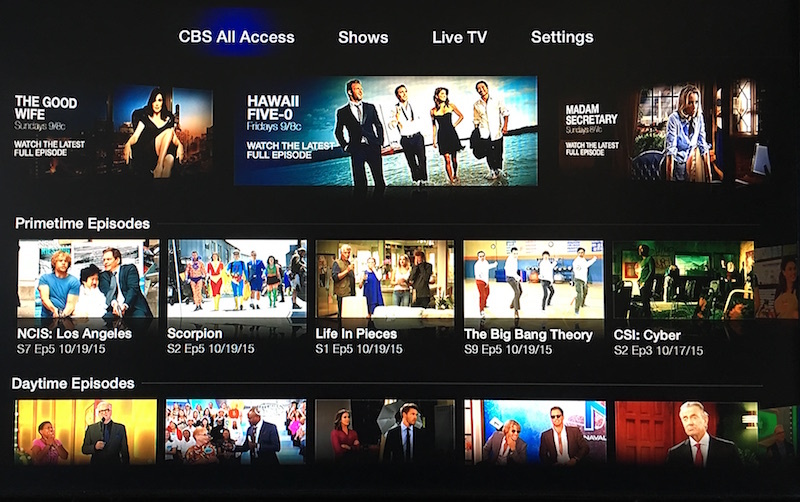 The new Apple TV brings much-needed improvements in hardware and software, as well as support for third-party apps via a new App Store. A new touch-based remote, with support for Siri commands is also available in select countries, allowing for Universal Voice Search, which finds content across multiple services. The hardware powering the new Apple TV includes an A8 chip, with 2GB of RAM, the aforementioned remote – which also includes a gyroscope and accelerometer to allow it to be used to control games – and third-party Bluetooth controller support. Apple TV pre-orders are available via the Apple website. The third-generation Apple TV will continue to be available for $69.